Most people never think about their car battery until it fails, not realizing that the main factor in that failure was the choice they made when purchasing the battery in the first place. It is imperative that you look after your car. Checking your spark plugs, topping up the water levels and testing the battery are all tasks you should do at least every other month. When buying the best automotive car batteries you need to choose one that meets the requirements of the vehicle as specified by the vehicle manufacturer, with an eye toward vehicle use and customization. 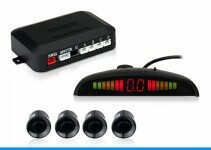 If you add anything to your car that was not there when you purchased it, such as a more powerful sound system or car parking sensors, then you need to also take the power demand of these items into consideration when determining the battery you need. In most cases this may be minimal but you might be surprised. Automotive batteries are grouped by size, technology type (the way they’re made, and the purpose for which they’re made), ampere hours (or “amp” hours – the measure of the energy stored in the battery), cold-cranking amps (the battery’s ability to turn over an engine in cold weather), reserve capacity (the battery’s capability to operate vehicle systems without taking a charge from the alternator), and, most importantly, for most people, the warranty. 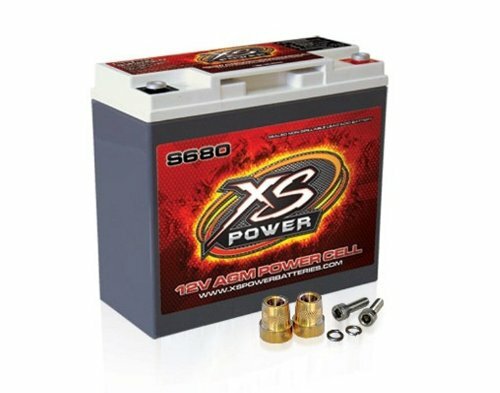 The following are ten of the best car batteries available on the market today. Size: 10 5/16" x 6 13/16" x 7 5/8"
The Optima YellowTop has long been a favorite of gearheads and adventurers who heavily accessorize their vehicles. 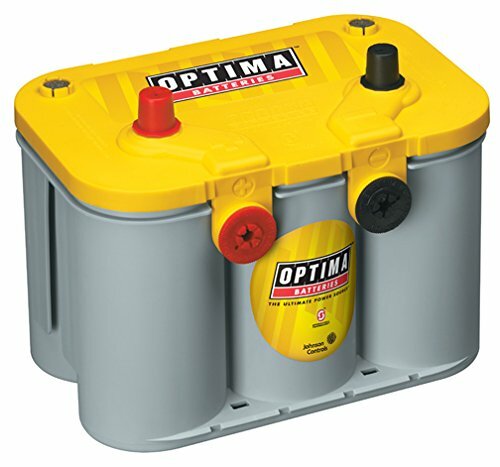 Whether it’s for audio, off-road, or camping, the YellowTop is a heavy-duty, deep-cycle battery with the capacity to serve. It features 870 cranking amps, 750 cold-cranking amps, a 55 amp-hour capacity, and a two-hour reserve, even in very cold weather. It has a low “self-discharge rate”, meaning that it will maintain its charge in storage for extended periods without the need for battery charger support. The sealed-gel construction and patented Spiralcell Technology means no risk of acid spills. The battery can be mounted at any angle, and in any position. 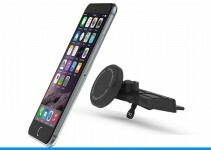 It has a three-year free-replacement warranty, and its compact design and dual cable post configuration ensures mounting compatibility with most vehicles. 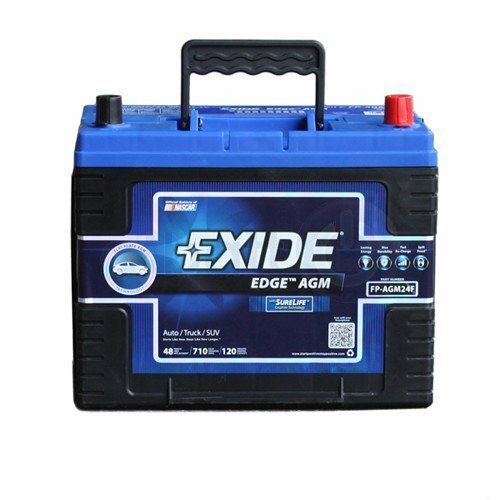 The Exide Edge is a compact, spill-proof, absorbed-glass mat battery that is ideal for compact to mid-sized cars and small boats. It is a dual purpose battery, designed for use in both engine cranking and deep-cycle applications, thereby saving space by having one battery perform the functions of two. It has 930 cranking amps, and an exceptional 775 cold-cranking amps, with a 72 amp-hour capacity, and 140 minutes of reserve capacity at 25 amps. The Exide Edge has a built-in handle for ease of carrying, is truly maintenance-free, and can be mounted in any position. It features a 4-year, non-prorated guarantee. 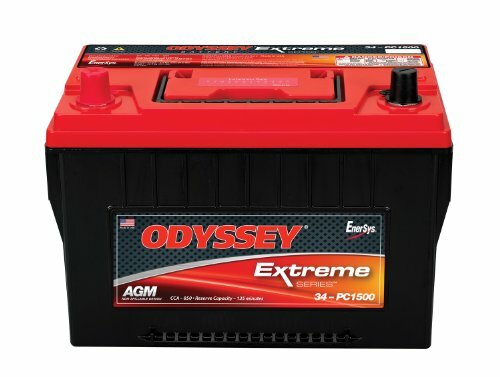 The Odyssey Extreme 34R-PC1500T is a heavy-duty battery that is a favorite of off-roaders for operating power-hungry equipment, such as winches and off-road light bars. It has an astounding 1500 cranking amps, with 850 cold-cranking amps. It has a 68 amp-hour capacity, with a reserve capacity of 135 minutes. Its unique lead-plate design gives it twice the overall power and three times the life span of conventional batteries in its class. It is capable of over 400 cycles to 80% depth of discharge, and of 100% recharge in four to six hours. It can be mounted in any position except inverted, and can be stored on an open circuit (without charger support), for up to two years. The Odyssey has a four-year full replacement warranty. 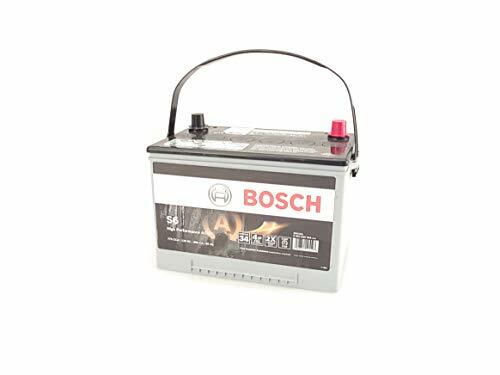 Bosch is the premier name in automotive electronics, and is known as a hallmark of quality and dependability. The S6 series are sealed, absorbed-glass mat, maintenance-free batteries that can be mounted in any position, and are suitable for use in the vehicle passenger compartment. The S6512B has 650 cold-cranking amps, with a 75 amp-hour capacity and 150 minutes of reserve capacity. Its AGM design gives it a deep-cycle capability for handling the heavy accessory loads common in European-style touring sedans, and family minivans. It features fast recharging, and is designed for high-stress start-and-stop use, such as is common in urban living. The S6 series comes with a four-year free replacement/pro-rata warranty, and free Bosch Roadside Assistance. The S680 is a super-compact, light-weight, absorbed-glass mat design suitable for compact cars, street racing, audio builds, and other applications where a tight fitment or weight savings is a concern. Its relatively low 320 cranking amps are still sufficient to crank over a small-block V8, but its 1000-plus amps of throughput (from a charged state) are more than enough to power high-powered audio systems, at about one-third of the weight of standard automotive batteries. This battery has a reserve capacity of 28 minutes. The ‘S’ series comes with terminal adapters for under-hood use, and has a three-year warranty. 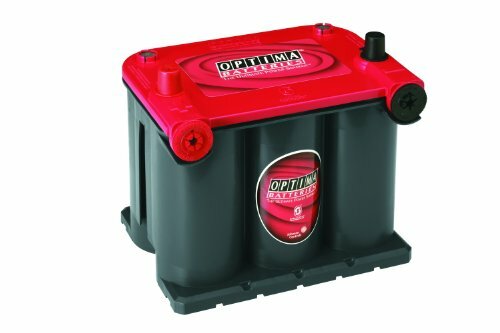 The Optima RedTop is a standard starting battery designed for SUVs, trucks, and cars. 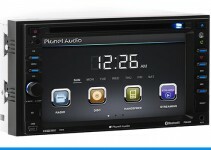 It features Optima’s Spiralcell technology, and provides 910 cranking amps with 720 cold-cranking amps. It has a 44 amp-hour capacity, and a 90-minute reserve capacity. It has the strongest five-second starting burst in its class. This battery is maintenance-free and spill proof, and can be mounted in almost any position. It is fast-charging, and is designed to be a starting battery only – as such it does not have deep-cycle capability. However, it is a rapid-charging battery, intended for heavy start-and-stop use. The Optima Redtop has an expected life span of nearly ten years, and has a three-year free replacement warranty. ACDelco is an almost century-old division of General Motors, and is a well-known and trusted name in American auto parts manufacturing. The ACDelco 65AGM is a large format, absorbed-glass mat battery designed for heavy start-and-stop use in commercial equipment, ambulances, and police cars, as well as larger personal vehicles such as SUVs and trucks. At 850 cranking amps, 750 cold-cranking amps, and a 140-minute reserve capacity, this battery has the power to turn over larger engines (including diesels), with plenty of amperage to power demanding industrial automotive electrical systems. 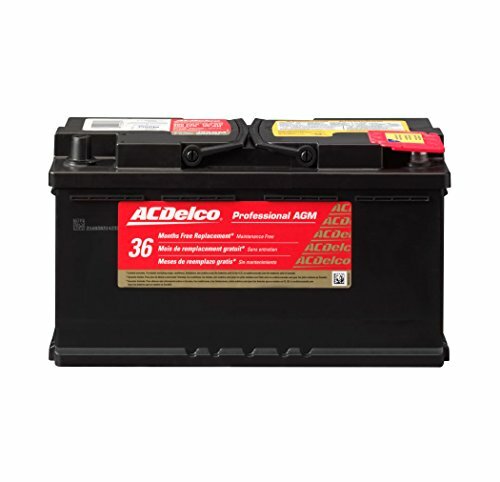 These batteries meet or exceed most original equipment specifications, and warrantees are available up to 48 months. 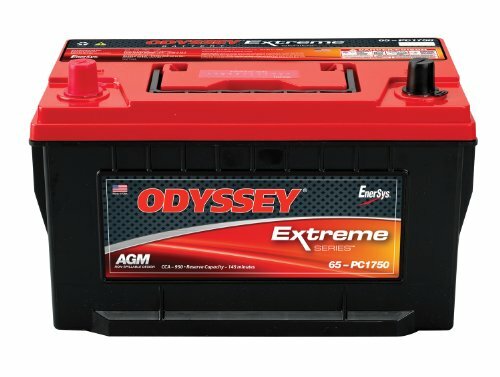 The Odyssey 65-PC1750T is a dual-purpose starting and deep-cycle battery for automotive, truck, and marine applications over a wide range of temperatures, from -40 degrees (Celsius and Fahrenheit) to 45 degrees Celsius (113 degrees Fahrenheit). It has 1750 cranking amps, 950 cold-cranking amps, with a 70 amp-hour capacity and a 145 minute reserve capacity. Its deep-cycle life expectancy is for 400 draws of up to 80% capacity, with a four-to-six hour recharging time to 100%. The Odyssey uses a no-spill lead-plate-and-absorbed-gas mat design to create 15% more plate area than comparable spiral-design batteries, for up to 40% more reserve power. This battery has a four-year replacement warranty. 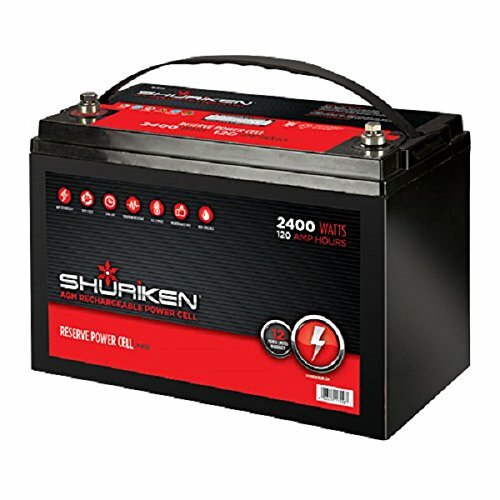 The Shuriken SK-BT120 is a hybrid battery designed to be a starter battery for vehicles with high-end competition audio systems. It provides an astounding 2600 cranking amps, with a reserve capacity of 120 amp-hours, and powers audio systems up to 2400 watts. It is constructed with spill-proof absorbed-gas mat technology, which allows mounting in virtually any position, and provides for the high heat-and-vibration resistance necessary for use in audio competition. The SK-BT120 can also be used as a stand-alone power cell, and installed with ring terminals or a buss bar. The Shuriken has a one-year manufacturer’s warranty. 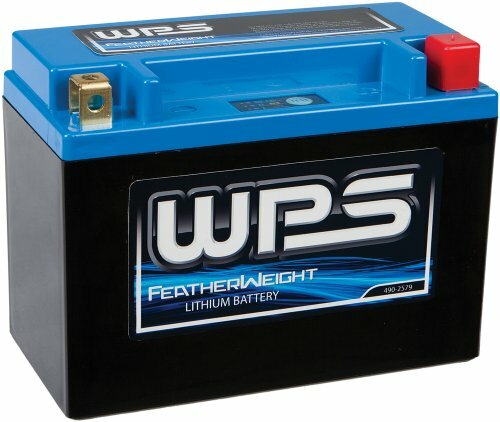 The WPS Featherweight Lithium Battery is a high-powered ultralight battery designed for racing. It is a maintenance-free “sealed-valve regulated design” that eliminates spills, and corrosion on terminals. It is 50% to 70% lighter than standard batteries and can be brought up to 90% charge in an impressive 6 minutes. There is a built in LED test gauge and the WPS Featherweight battery is constructed with no hazardous acid or heavy metals. As such, there are no shipping restrictions on this battery.